Congratulations on investing in your future with America's #1 Signing Agent Training! Now that you're a student, please take a moment to learn how to access and navigate your course. Be sure to select the correct course. You may see courses that you've had free trial access. If you're trying to access a free trial course, you'll only be able to see a few modules. If you don't see your course on your dashboard, please confirm the email you used to purchase the course. 9 times out of 10 students aren't able to access the course because they are using an email different from the one they used to purchase the course. The best way to confirm the email you purchased under is going to your email client and searching "Loan Signing System Receipt"... if you don't see your receipt, chances are you purchased the course under a different email address. It's important to find the correct email you purchased the course under. Go to each possible email you may have purchased the course under to confirm by finding the receipt. Once you find your receipt, login using that email. I also recommend writing down your login information somewhere so you can easily access it in the future. If you mistakenly logged in using a different email address, before logging in again, we recommend closing ALL tabs that may have Loan Signing System up, clearing your browser cache, and refreshing your browser page. 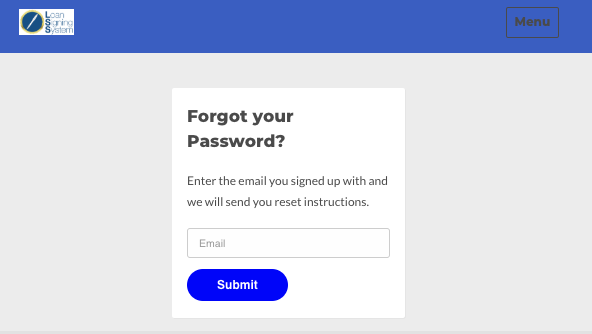 Because most login sites 'remember' the most recent login, refreshing the browser before logging in again will likely clear it for you so you can login successfully! Once you're in your course player, you can select your course module by clicking on the title of the module in the left hand side. When you're finished with a module, click the "Next" button on the lower right hand side. This will help you keep track of modules you've already completed. Go through each module, one by one. Print the loan documents provided (not all documents may be downloaded, but you can print them). Do not jump around or skip a module. The Loan Signing System exam is placed within your course after all of the loan document training. Passing the exam with a 90% will award you the Loan Signing System Signing Agent Certification! So be sure to print the documents, watch all of the training videos, and take notes on the documents provided! Once you view a module, the Chapter is marked as complete and may not show on the left side of the column. In this case, you'll have to use the search tool just above the list of chapters. To do this, simply click "Search by lesson title" on the upper left hand side to search or scroll to the previously-viewed module. From here, you'll be able to update your profile, change your password, and adjust your billing settings. While there is a section for certificates, keep in mind that your certificate will be sent to you electronically via email and won't be posted here. It will be sent to you via email after you pass the Loan Signing System exam with a score of 90% or better. If you're not yet a monthly mentorship student (it is included with the Professional and Six Figure courses), be sure to add it to your course by clicking the button below. You'll get to network with other students as well as ask me questions LIVE! It's the best way to build your business as a notary loan signing agent! As a monthly mentorship student, you'll get access to my full library of previous mentorship sessions. Keep in mind that not only do I answer your questions LIVE... I also provide a special training session on how you can take your business to the next level! So going through previous mentorship session videos will provide a significant amount of knowledge so you can build your signing agent business! In addition to watching previously recorded mentorship sessions, you'll also get to search the group for previous questions or comments other students in your same position have asked. To search previously discussed topics, simply type the keywords of your inquiry in the search box. Thank you for being a Loan Signing System student! I'm excited to help you become a top notary signing agent!! © 2016-2018 Loan Signing System, LLC. All rights reserved. Loan Signing System is a comprehensive step-by-step course created to help notary publics become expert loan signing agents. Loan signing agents can make $75-$200 per appointment and an appointment for a well trained loan signing agent can take about an hour. 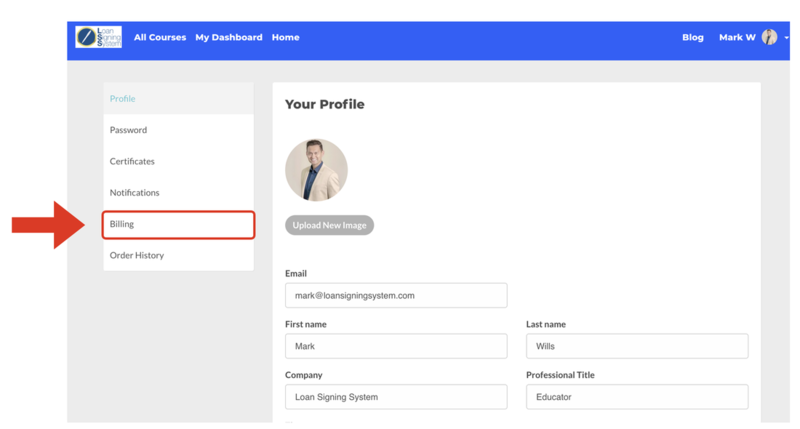 Loan Signing System seeks to provide relevant training to help loan signing agents learn how to complete a loan signing and to get more loan signing jobs / appointments. This training is not intended as legal advice or state / federal notary public training. ​Check with your state to be sure that loan signing agents are utilized in the closing process. Always follow your state's notary laws and best practices. Unless explicitly stated, Loan Signing System is not sponsored by, endorsed by, or affiliated with any company referenced herein. No guarantees, promises, or warranties of any kind are being made or should be understood to be made. Results may vary. ​Our courses come with a 100% money-back guarantee.